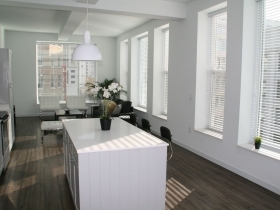 New guide for redeveloping historic Milwaukee aims to foster growth. 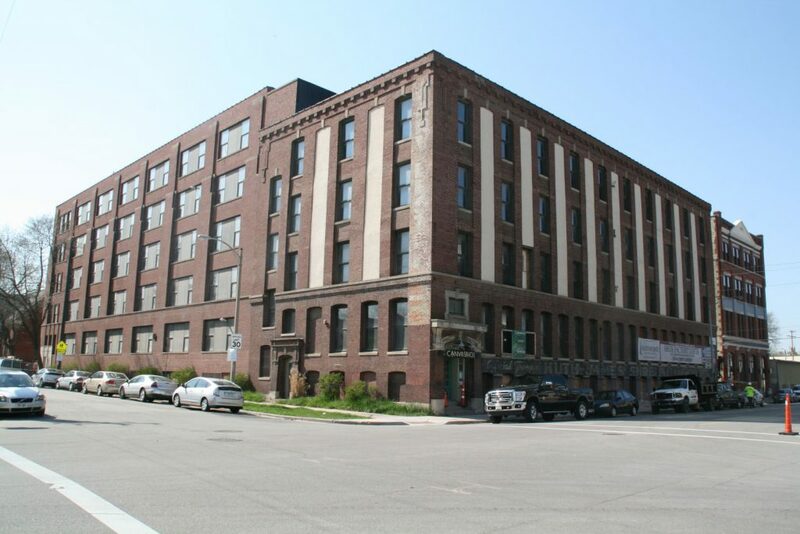 An exhaustive report on Milwaukee’s historic industrial buildings aims to continue a wave of historic preservation and economic development in the city. The report, commissioned by the Wisconsin State Historic Preservation Office, examines hundreds of buildings to identify previously unidentified buildings that are eligible for historic preservation tax credits. 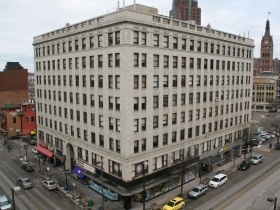 The tax credits have provided a crucial part of project financing that is enabling a number of historic Milwaukee buildings to be redeveloped into apartments, offices or other commercial uses and has contributed over $526 million to the Milwaukee economy. 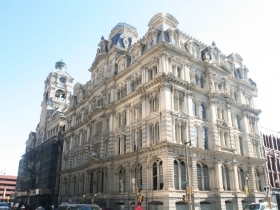 The report seeks to incentivize redevelopment of historic buildings by readily identifying potential opportunity for developers and helping lay the groundwork for getting them federally-certified. The privately funded study was executed by architectural and engineering firm Mead & Hunt of Middleton. 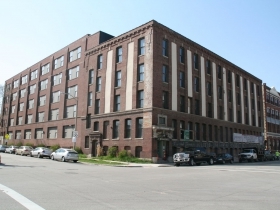 Released Friday morning, the report provides a comprehensive overview of Milwaukee’s industrial heritage and identifies at least 39 previously unlisted properties (some consist of many buildings) and two historic districts that meet federal criteria for redevelopment with state and federal historic tax credits. To identify the properties suitable for nomination the study team surveyed 546 previously known properties as well as 364 recently identified properties. To be eligible for listing on the National Register of Historic Places and therefore historic preservation tax credits the buildings must be at least 40 years old and satisfy at least one of four criteria. These properties ranged widely in their industrial use, from the manufacturing of beer to boots, candy to caskets and shoes to steam engines. Milwaukee was once known as the “machine shop of the world” and the report takes over 20 pages just to categorize all of the possible uses for the properties. Of the known properties, 153 were struck from the list because they were previously demolished and 78 were removed because they “no longer retain sufficient historic appearance to warrant documentation.” While every building can’t be saved, the report aims to make it easier to save those that can. The 39 previously unlisted properties that Mead & Hunt thinks are likely candidates for national designation cover the whole city and range widely in their current use and date of construction. Of note is the Allen-Bradley Building and its signature clock tower, still in use today as the headquarters of Rockwell Automation. The complex dates back to 1909 and has had a number of expansions over the years, but is a historical site with sufficient integrity dating back to the glory days of the controls manufacturer according to the report. Another notable complex is recommended for nomination: the Miller Brewery Complex at 4300 W. State St.. The brewing giant’s Milwaukee brewery includes a building that dates back to 1855. The report documents all of the potentially eligible buildings in the brewery complex. Another property has already been redeveloped, but listing the property would make future efforts to maintain the building eligible for tax credits. The Western Leather Company building (904 E. Pearson St.), built in 1889, was converted to condos (Western Leather Lofts) in 1997, but isn’t currently on the National Register of Historic Places. Mead & Hunt think it is a good candidate for nomination. Not all of the buildings are from a pre-World War II era, We Energies South Service Center (2425 S. 35th St.) makes the list as an example of contemporary architecture from 1960. The report also designates two potential historic districts. One potential district is located in the city’s Layton Park neighborhood and consists of five properties. The other includes 24 properties along W. St. Paul Ave. in the Menomonee Valley from N. 11th St. to N. 20th St. Like a number of other historic districts in Milwaukee, listing the district as a whole makes all contributing properties eligible for tax credits. Why does identifying old buildings matter when Milwaukee is already experiencing a building (and renovating) boom? According to Jim Draeger “when you look at what has happened in Milwaukee, historic preservation has certainly been a catalyst for its revitalization.” He notes that since the tax credit program’s inception in 1982, $526 million in reinvestment in historic properties has happened in Milwaukee. 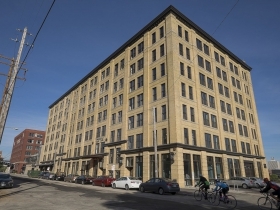 While the entire Historic Third Ward stands an example of the virtue of historic preservation, a number of increasingly scattered projects have taken advantage of the increased tax credits including the Brix Apartments Lofts in Walker’s Point, Welford Sanders Lofts in Harambee, Posner Building/MKE Lofts in Westown and Pritzlaff Building on the edge of the Menomonee Valley. In his remarks at a Thursday evening event unveiling the report, Mayor Tom Barrett said his administration has done a “good job” with regard to historic preservation, noting that “there is always a tension that requires a balance” and that they’ve risen to meet the challenge. 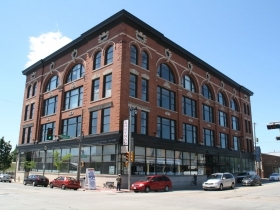 In a statement that one was part trumpeting historic preservation and one part illustrating the downtown boom, Barrett said “there are more people working in the Schlitz complex now than when they were brewing beer.” It’s a dramatic example of how former industrial properties can be adaptively reused in the 21st century. Draeger warned the audience attending the reception that the 182-page report comes at a crucial time. The use of historic preservation tax credits in Wisconsin has never been higher, yet the program itself is under threat of elimination at the federal level. A series of state law changes quadrupled the state program in 2014, allowing developers to earn a 20 percent state tax credit along with a 20 percent federal tax credit for eligible project costs on nationally designated buildings. Yet, this program, which is decidedly pro business, pro preservation and pro urban economic development, might become a casualty of tax reform at the federal level. Draeger encouraged attendees to call their representatives, especially if they lived in Speaker of the House Paul Ryan‘s district. The historic preservation office plans to replicate the study efforts across the state. Next they’ll study the Fox Valley, starting in Fond du Lac and working through Green Bay. Major sponsors of the Milwaukee report include Cardinal Capital Management, Mandel Group, Phoenix Investors, Wangard Partners and the Wisconsin Preservation Fund.